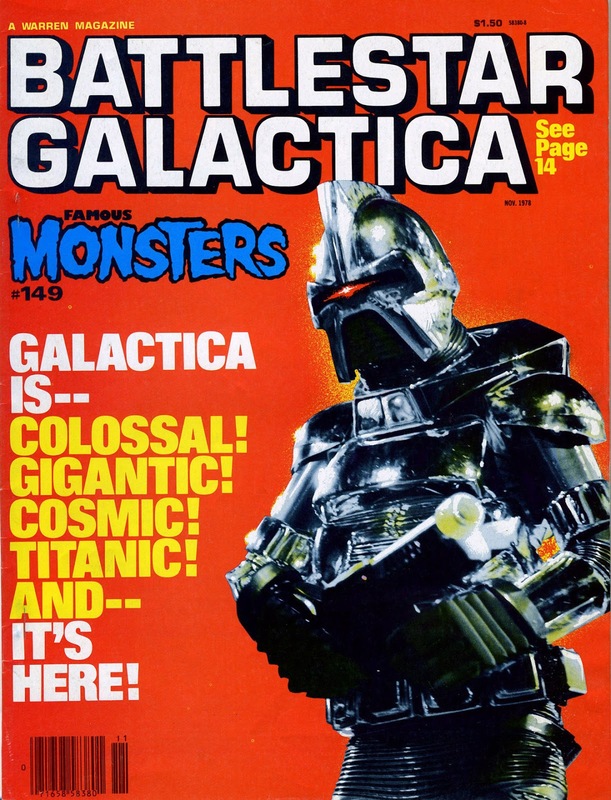 Here's another BATTLESTAR GALACTICA cover from Warren's FAMOUS MONSTERS magazine (issue 149) from back in 1978. Shamelessly, the article itself also appeared in GALACTIC WARS COMIX which I posted here a while back. have you ever come across the dune annual listed here..? Nope, I don't ever remember seeing a DUNE ANNUAL and a quick check of the book on British annuals doesn't list anything either. Although I was aware of the film, it didn't get me remotely excited at the time and it's only within the last few years that I finally got around to seeing it. I wasn't paying much attention to the (fairly extensive) merchandising that appeared to tie-in with the film but I'm fairly sure I would remember seeing the annual amongst the stacks in Martins or WH Smith. Maybe it was abandoned pre-publication and no one told whoever was compiling the advert?